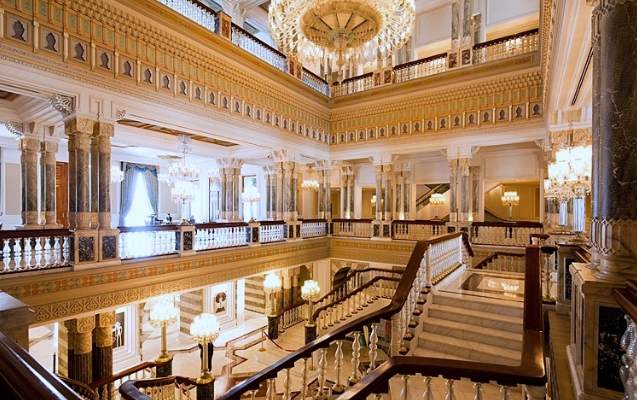 After checking in, Laveena and I walked over to the wall by the reception area to admire autographed photos of Kings and Queens, Heads of States, Business Tycoons and some of the world’s most loved Celebrities, each of whom had been guests at this restored 19th century, imperial palace hotel. We were told that Prince Albert of Monaco and H.R.M Juan Carlos II of Spain visited often, while Oprah Winfrey, Richard Branson, Bill Clinton, Sophia Loren, Madonna, Sting, Christian Louboutin and Roberto Cavalli were all happy guests of this remarkable city palace hotel. We were shown to our spacious room and our first impressions were that we were afloat on the Bosphorus. From our verandah and from our bed, we had the most striking and awe-inspiring views of what is believed to be the world’s sixth largest river. From where we stood, perched in our terrace on the European side, we could see the continent of Asia clearly. The Bosphorus forms a continental boundary between Europe and Asia and as we sat down to enjoy a cup of Turkish tea in our verandah, we couldn’t help but take multiple pictures of the gorgeous palace building, which stood majestically to the right of our room, an iconic landmark which we felt lucky to be experiencing in beautiful Istanbul. We finished our tea and soon after, stepped out to experience the outdoor heated pool. It was a chilly afternoon, and Laveena and I were the only ones in the water. But from where we were, we couldn’t help but imagine, what life must have been like for the wealthy Turkish Sultans. With sweeping views of the Bosphorus and of the Turkish metropolis on the Asian side, beautiful mosques with their charming minarets and with uninterrupted views of the palace, we felt steeped in history and the warm temperature of the water prompted us to submerge our cool wind swept faces underwater for that therapeutic feel of calm and extreme peace. When we did get out of the pool, we returned to our room and dressed for dinner. Before dinner though, I was keen to puff on a fine cigar at Le Fumoir, the humidor at the Ciragan Palace. 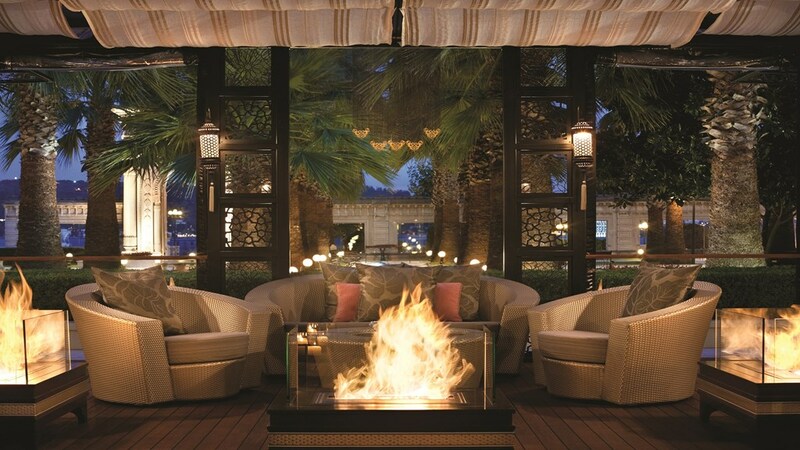 A visit to Le Fumoir had been recommended by the dashing and debonair hotel General Manager, Mr. Ralph Radtke. A recipient of many awards, including ‘The Best Hotelier Award’, for the excellence of his work as General Manager at the Çırağan Palace Kempinski in Istanbul, and the exemplariness of his career as a hotelier over all, Ralph is loved and respected almost like a celebrity in the world’s hospitality industry. 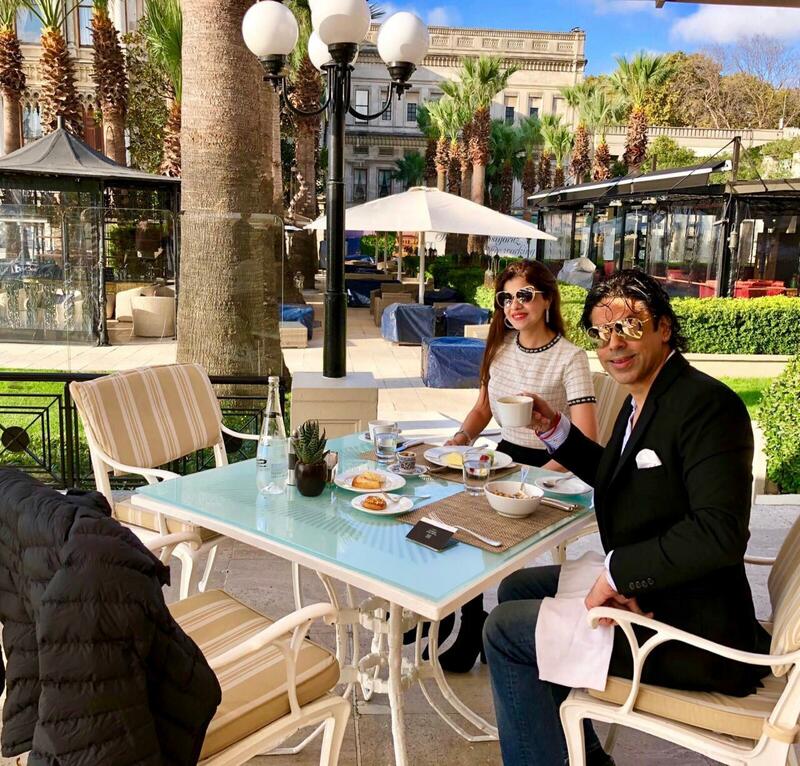 Laveena and I walked through the lush garden on the palace grounds and into Le Fumoir where I ordered a premium cognac, a Remy Martin XO 1st Cru and a Montecristo White Churchill, cigar. 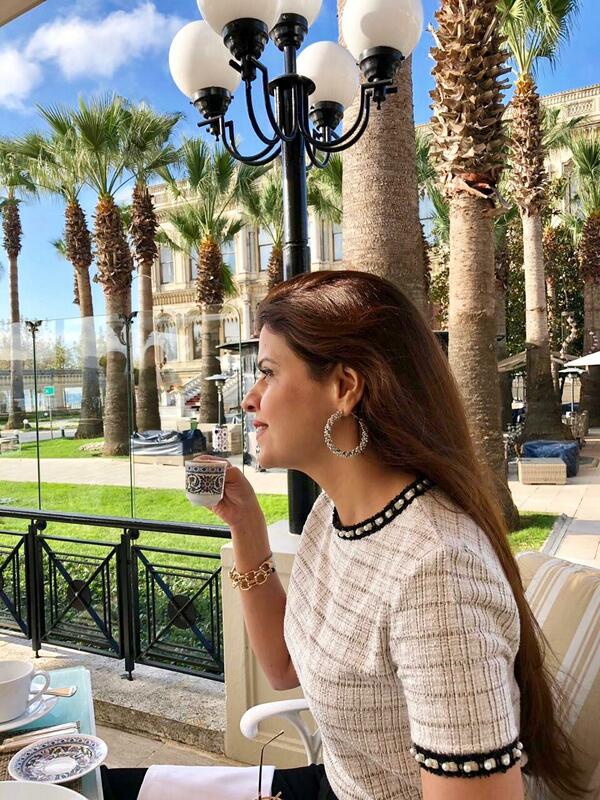 As we sat back in the pavilion area, we took in the mesmerising views of the Bosphorus and the Anatolian side of the city. Dinner was at Tugra, the Turkish restaurant at the Ciragan. We arrived at a little after 20:15 hrs and were shown to a table on the marble pillared terrace overlooking the Bosphorus, a view which in my opinion is so breathtaking, one can never tire of it. The local kebabs we feasted on that evening were tender,moist and delicious and it prompted Laveena to ask me jokingly, if i was inspired enough by the taste, to write a few poetic couplets on the kebabs. 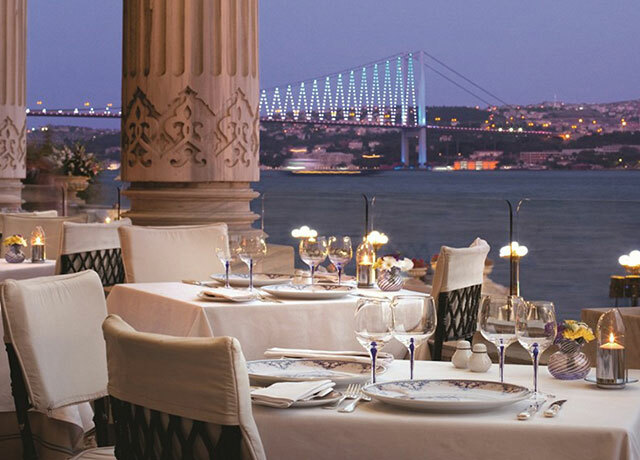 The restaurant offers classic Ottoman fare and should not be missed when a guest at the Ciragan Palace. After dinner we ventured out for a walk down to the Ortakoy Pier Square, the location of the fabulous Ortakoy mosque, and a popular place for both tourists and locals to hang out. The area is well known for its art galleries, cafes, restaurants, bars and night clubs. The streets near Besiktas were lined with souvenir shops, selling colourful trinkets including the well known Turkish evil eye. Street musicians entertained those who had stepped out for some fresh air that chilly November evening. When we returned to our room later that night, we walked out onto our verandah for yet another cup of the delicious and divine local tea. 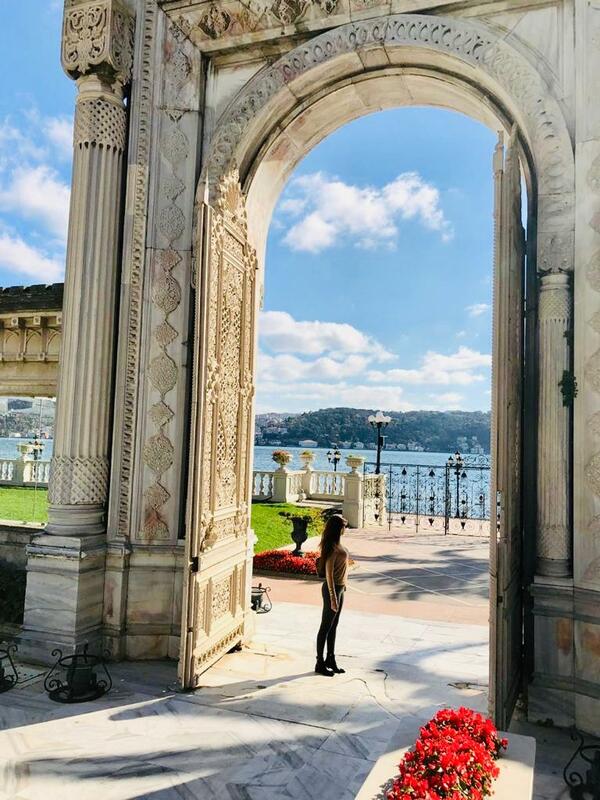 When we looked to our right, we could see the brightly lit Ciragan Palace on the hotel grounds, while to the left we had spectacular views of the Ottoman Neo-Baroque style Ortakoy Mosque we had walked past post dinner. Also magnificent and of ample splendour was the Bosphorus Bridge, one of three which connect Europe to Asia. After a very luxurious nights rest, we were up bright and early the next morning. 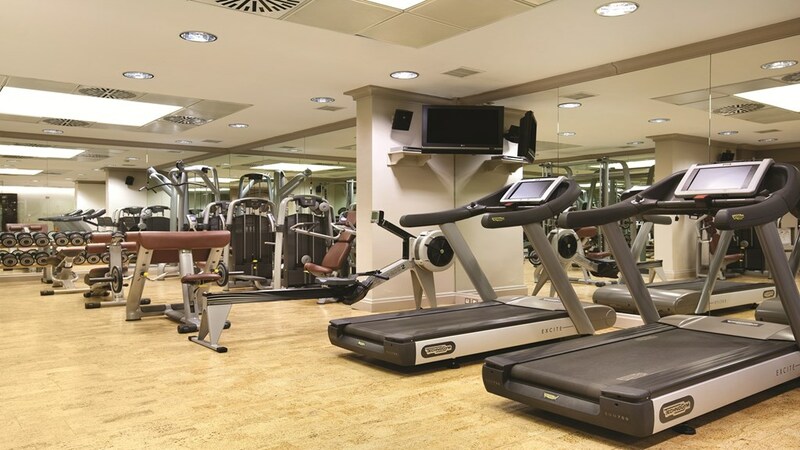 We spent an hour at the well equipped fitness centre at the hotel, returned to our room for a quick shower and then headed to breakfast at the Laledan. 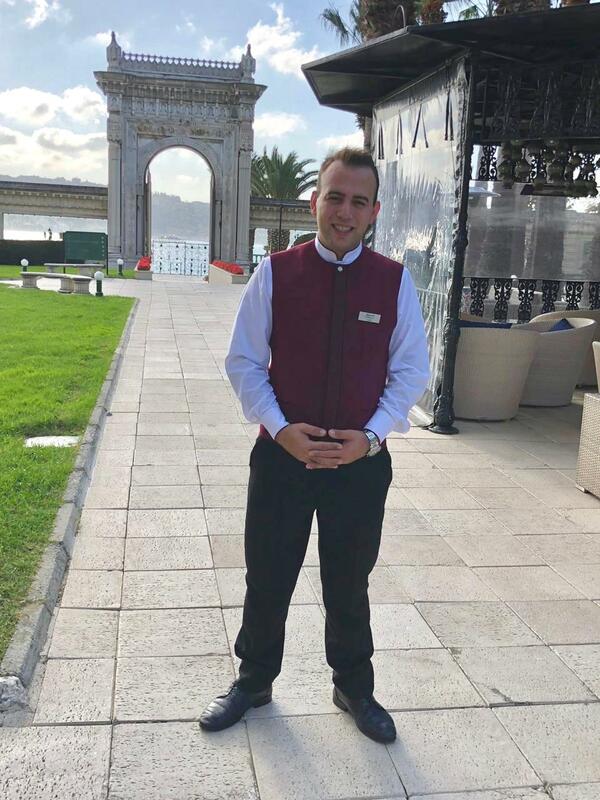 We asked to be seated on the terrace with views of the seventeenth century gate and the gardens of the Ciragan Palace Kempinski. The buffet breakfast spread was impressive and we were served by an enthusiastic young Turkish waiter named Yigit who was eager to ensure that our breakfast experience was one we would remember for a long time to come. Delicious kazar and beyaz peynir cheese, freshly cooked farm eggs double fried, cucumbers and olives and kayak, sucuk ( spicy Turkish sausages), were just some of the wonderful dishes which made up our morning breakfast. 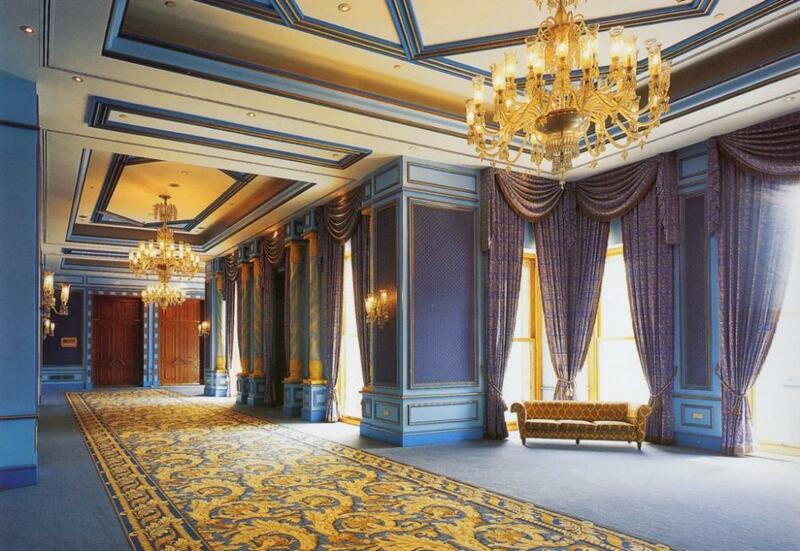 Our appetites satiated, we walked over to the main palace where the 11 imperial suites were located. 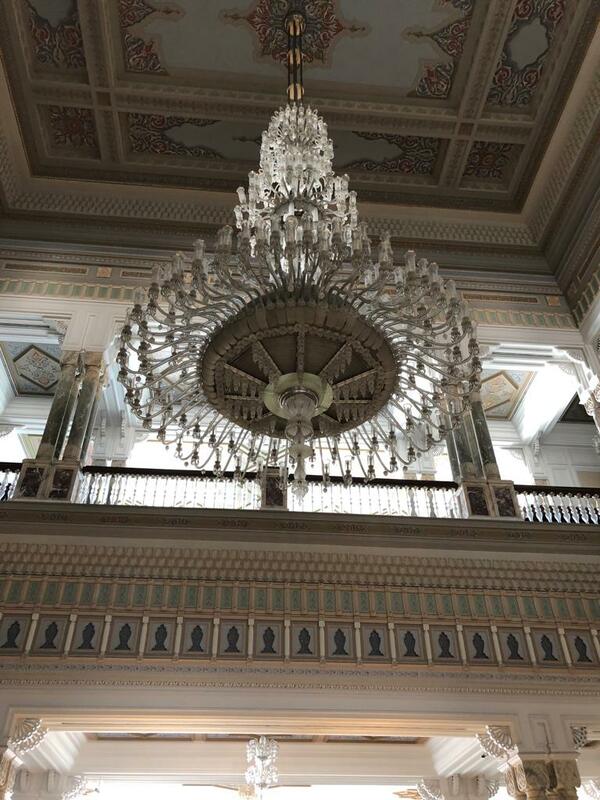 We had read that the palace had been built by Sultan Abdulaziz and designed by an Armenian architect Nigogayos Balyan. It was constructed between 1863-1867. The intricately decorated ceilings, the large crystal chandeliers, the marble pillars, the gold rimmed glass and carved wooden hand rails and the grand marble stairs were a reflection of the rich and opulent lives of the mighty Ottoman Sultans. 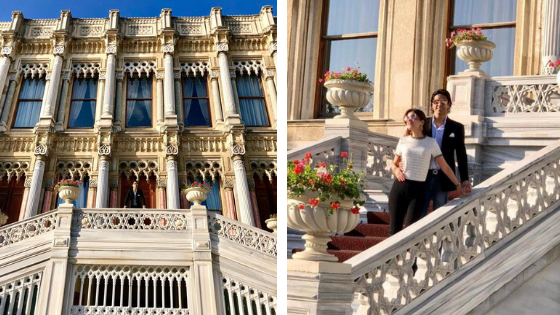 We couldn’t help but gasp in awe as we captured a few very special moments of the time we spent at the palace on camera, including one on the red carpet dressed stairwell, leading up to the main palace. 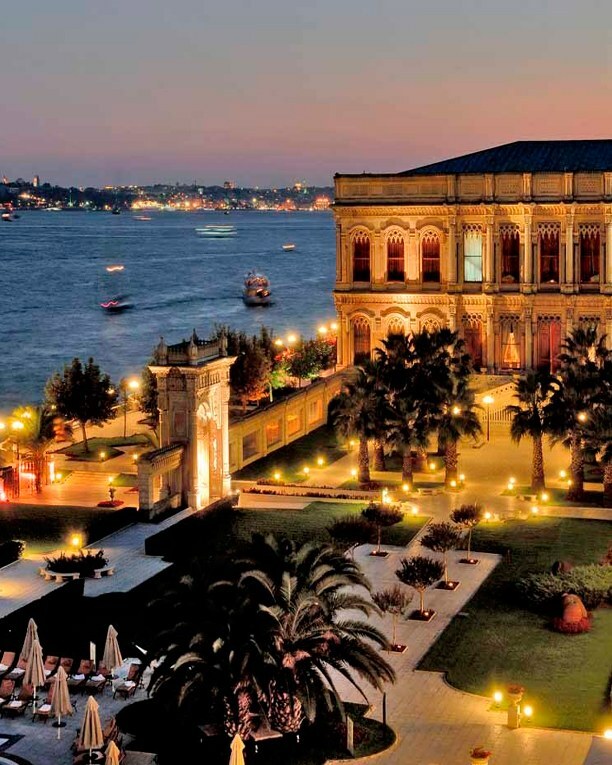 A stay at the Ciragan Palace is extraordinary. Indeed it is a tryst with luxury and everything grand and historic. 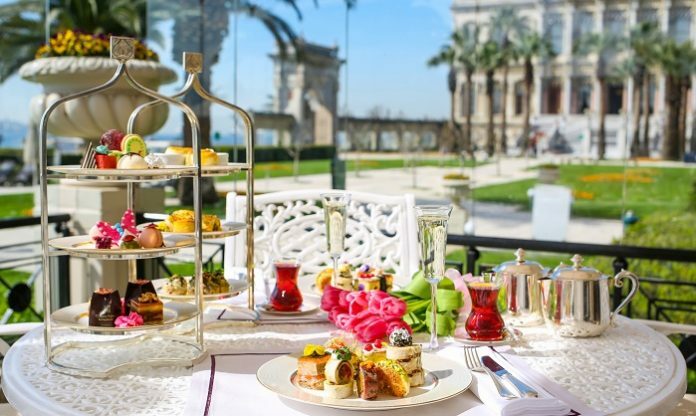 But beyond all of this, guests living at the hotel experience a celebration of royalty, a feeling which is hard to replicate at any other hotel property in Turkey. Seems like you had a truly memorable experience, thanks for sharing this wonderful article. Yes Noor, it was a wonderful experience. Istanbul is a wonderful place. You seem to have had an awesome holiday. The gardens sound so comforting! Istanbul is really a. Beautiful place and this palace looks like a Royal one. No doubts, the stay has to be an elegant and warm one. 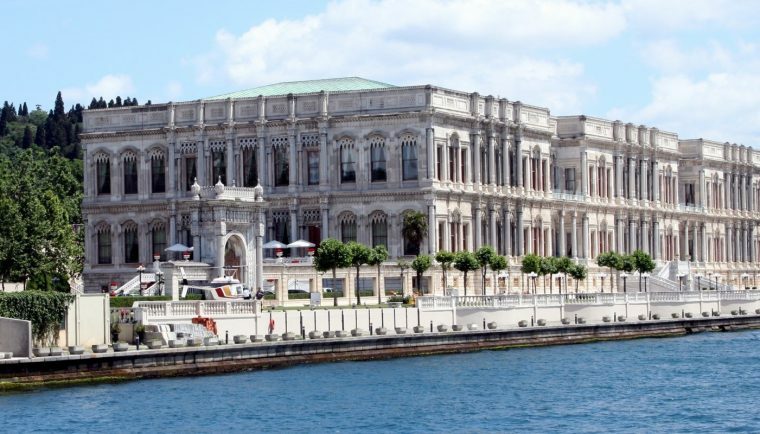 The palace looks so luxurious and beautiful.. Istanbul is itself a beautiful place.. Your overall experience is saying it is a must visit place.. 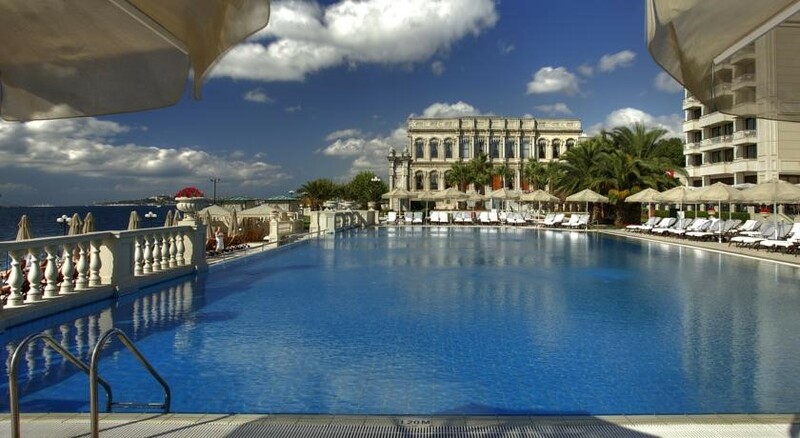 Totally agree with you a stay at Ciragan Palace is extraordinary. The picture speaks it all. I am sure you would have enjoyed a lot. Yes Hema, we had a wonderful time. Wow!Another Wonderful post and beautiful place. Loved the pictures and you look lovely as always. Thanks for this virtual trip. 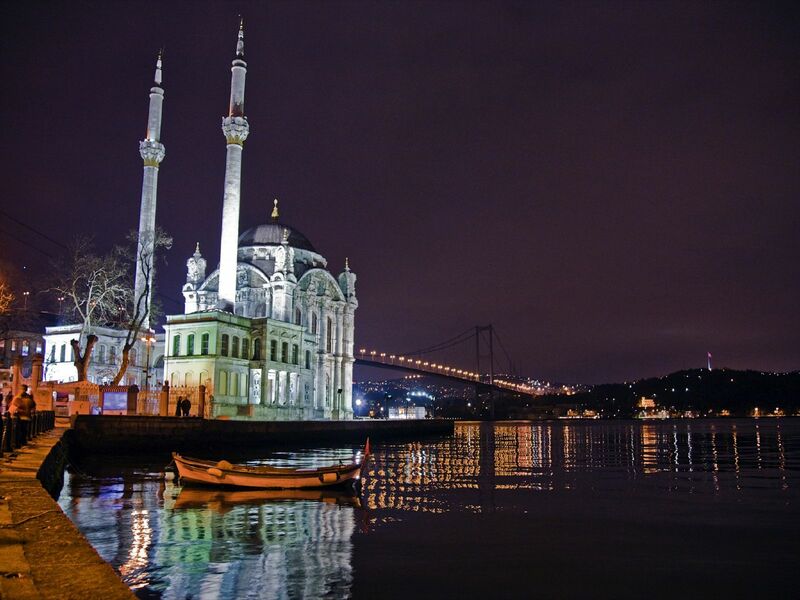 Istanbul has always been my favourite destination on wishlist. It seems you had great time there. I would surely visit soon.